Corn pancakes, corn fritters, corn cakes – call them what you will, but one thing I think we can all agree on is that they’re delicious! I’ve really wanted to make them for ages after I saw recipes from Joy The Baker and Smitten Kitchen! 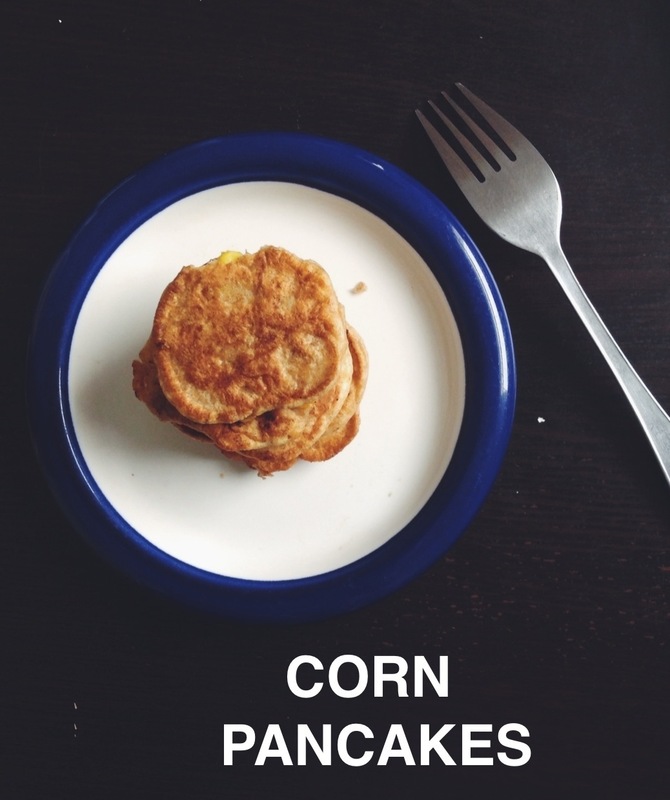 They’re totally simple and healthy – I used half wholewheat flour and there’s corn in them! You could basically live off them! Am I right or am I right? Combine dry ingredients and add to egg. Don’t over mix or you’ll get flat dense pancakes = sad person. Grease pan with olive oil or butter and put on medium low heat. Add about 2 tbsp per cake and flip when it looks dry. When you flip, don’t push down on the pancake! It will be done when both sides are golden brown. Serve with maple syrup and bacon for a sweet and savoury approach (it would make THE BEST canapés) or make it like okonomiyaki by adding brown sauce and mayo! I think pico de gaillo and avocado would also be nice!